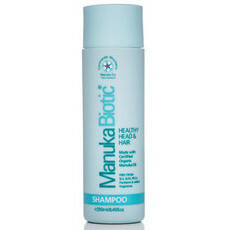 Nourish the skin and help to clear it of impurities with Manuka Biotic Natural Face Cleanser, which treats the sensitive skin of the face to gentle, all-natural care. Ideal for all skin types, including those with dry skin or prone to mild forms of eczema, this facial cleanser is gentle enough to use on a daily basis. Working to remove dirt, oil and bacteria, the skin is left clean and clear. 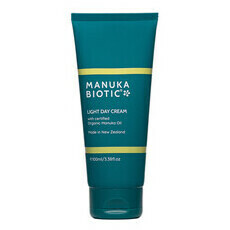 Containing Manuka Oil that is certified organic by Bio Gro New Zealand and accredited by IFOOAM and USDA, Manuka Oil has potent antibacterial and antioxidant properties, helping to clear pores and minimize breakouts. The facial cleanser also includes Witch Hazel Extract and anti-ageing Green Tea Extract, both of which help to keep the skin looking youthful and hydrated. The end result is skin that feels fresh and clean. Made in New Zealand. Vegan and Gluten Free. Certified Cruelty free. Almond Oil, Grapefruit, Jojoba Oil, Manuka Oil, Olive Oil, Rosehip Oil, Shea Butter, Vitamin E.
Dampen your face and with wet palms apply approximately a pearl-sized amount of. Rub hands together to create the lather. Massage over the face in a gentle circular motion. Rinse off thoroughly and blot the skin dry. 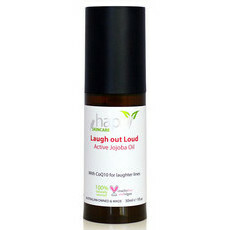 Use with a soft muslin cloth to also gently exfoliate. Great product, wish it came in a pump bottle. I bought this cleanser for my 12 year old and she loves it. It's helping to keep her skin healthy without drying it out. Would recommend for any tween or teen who is starting to explore skin care. It does have a particular smell, but it doesn't bother her in the slightest and it doesn't stay on the skin once the cleanser is rinsed off. I’ve bought this cleanser twice, as the lid on the first tube I bought was faulty and didn’t close properly causing most of the product to leak out overnight. Although I did like the cleanser itself, so I bought another one and had exactly the same problem! I ended up having to twist off the entire cap just to use the product in case I couldn’t get the lid closed again, not really worth it in the end.